The challenge for any cover designer, is to try to condense the atmosphere, feeling or message within a book down into a single image. Not only that, it is sometimes required to be beautiful, impactful, or be intriguing enough to make someone want to pick it up in the first place. Then hold their attention long enough to turn over to be hooked by the blurb and eventually buy, read and share. So when you break it down like that, and you consider how many books are released every single week of the year, it can sound like bit of a tall order to stand out from the crowd! Luckily however, we have a lot of creative people within the publishing industry to call upon to help in trying to create this perfect storm, and we try to come up with something that not only works as an appealing piece of stand alone design, but also acts as a kind of sales poster or branding for the series of books by the same author. 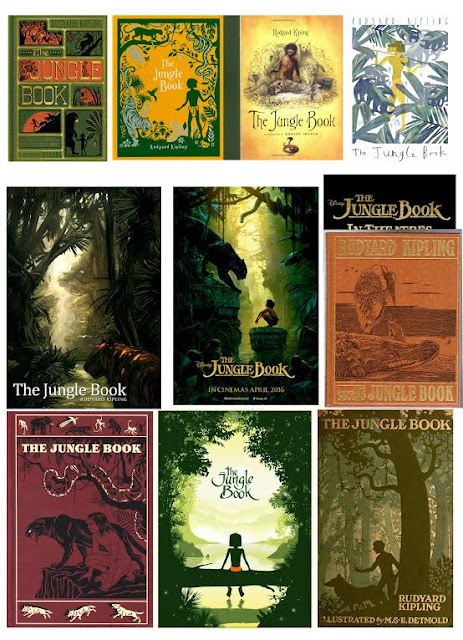 The starting point for any book cover lies in creating and visually interpreting a brief. The brief is typically supplied from the editor on a book, and can also include thoughts directly from the author. Once I’ve read the brief, I usually always try and read at least a few chapters of the book, sometimes I read the whole book, however time permitting this just isn’t physically possible due to the length of some of them and with all the other design work that needs to be done on a daily basis. I often start by brainstorming with the editor and publisher, then I create a mood board, drawing inspiration from all aspects of other media like film, TV, music, the internet and of course other books. Working at Faber is a great privilege, it’s a company with a wealth of history and is known for producing new and re-producing old classics. 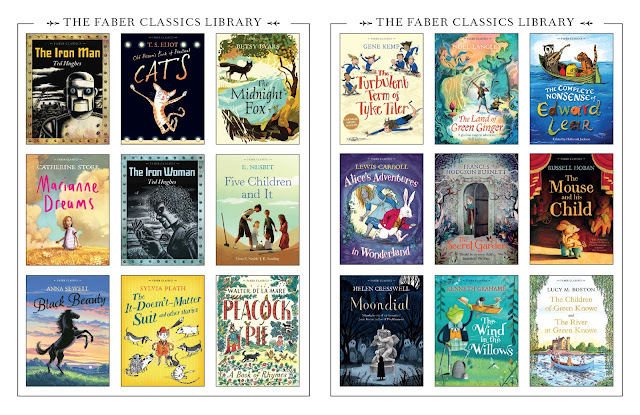 Faber have re-issued and packaged classic titles for years. Here’s an example of those published in recent years. So when I was given the opportunity to design new covers for some well-known classic titles, and given the freedom to pick and choose who to work with, it really is a dream job for any designer. 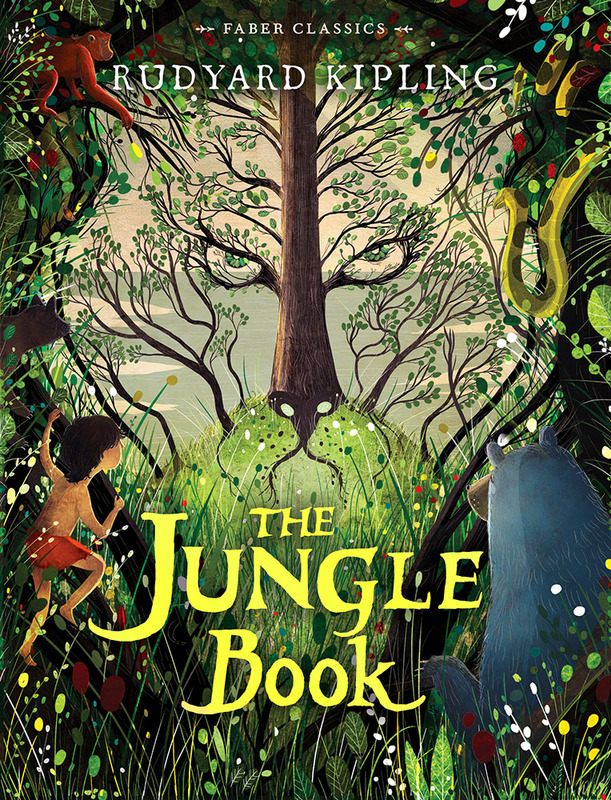 One of the titles on the list for 2016 was The Jungle Book by Rudyard Kipling. 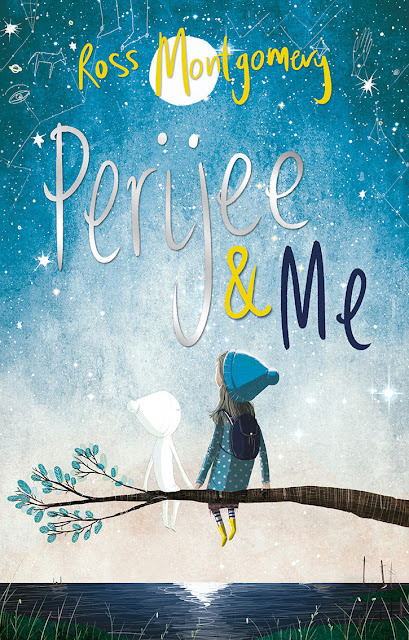 We chose David Litchfield, as a potential match for The Jungle Book, as we had been working together on another middle-grade fiction book cover (Perijee & Me – 3 March 16) and a picture book (The Building Boy – Sept 16), both written by Ross Montgomery. And I knew that we would be able to bring the right atmosphere and still look child-friendly enough for those discovering The Jungle Book for the first time. With The Jungle Book being such a well-established text. I didn’t really need to supply a written brief to the illustrator. I discussed with him that we were aiming to create something that had the feeling of a classic, but with a modern twist. My only stipulations were to make it intriguing and appealing, but not look too ‘Disney’. I created a mood board. And included examples of early editions and a few more recent, along with some posters and artwork. I had noted that the strongest visuals seemed to work with dramatic light and bold silhouettes. And the key figures to feature were Mowgli and at least 2-3 animal characters. 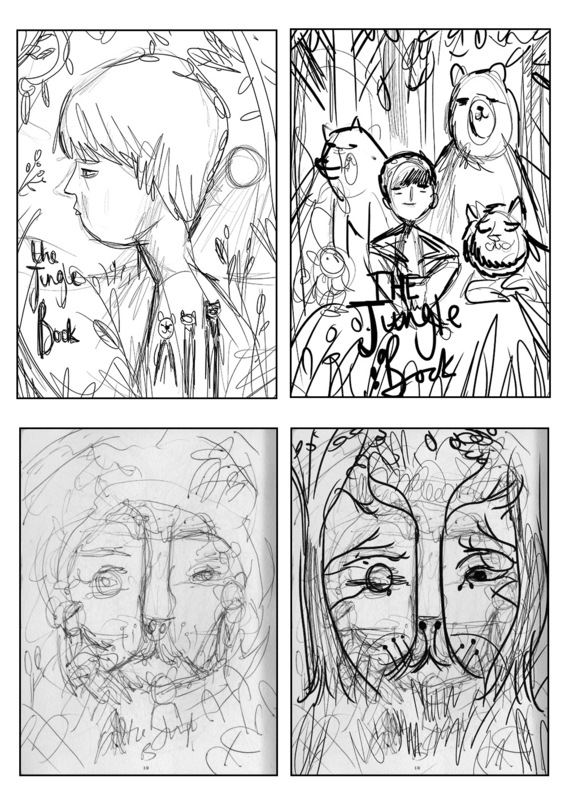 From that point, I leave the visualisation in the illustrators capable hands, while I work on ideas for the typography. 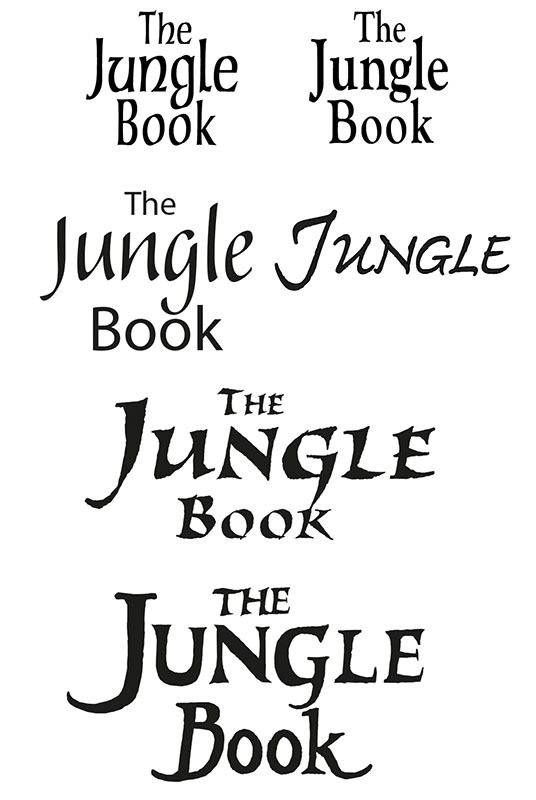 I toyed with the idea of using something quite classic and a serif style font. And I experimented with combining lower and upper case letters. While researching I could see the early release of film visuals and posters of the upcoming hollywood movie. So I could see that something with more character and a slight hand drawn feel that reflects the setting would be more in keeping. So I basically drew something similar to that. 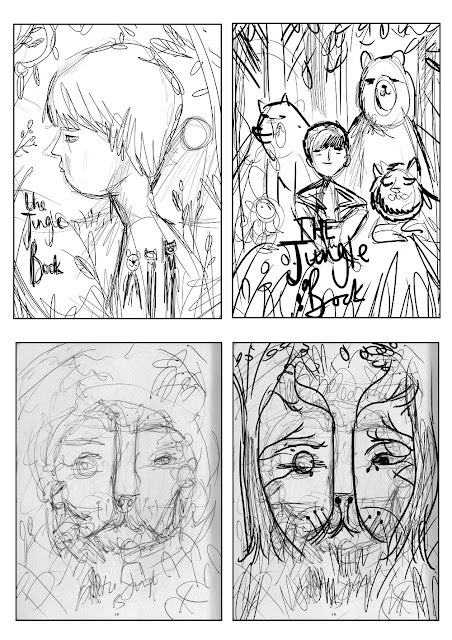 The illustrator supplied some early thoughts roughly sketched out and we discussed which direction had the most potential. 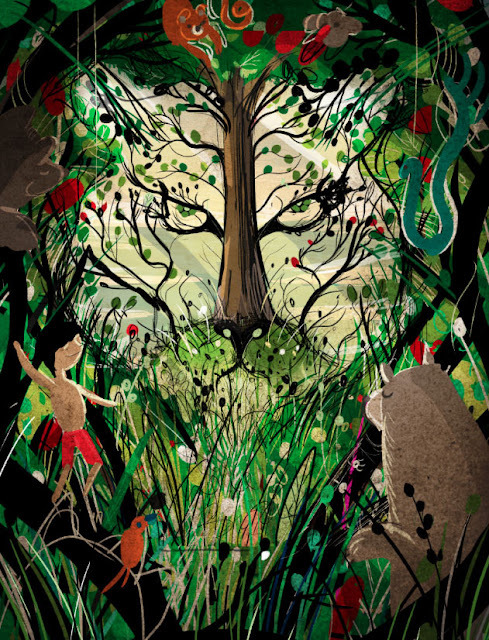 From those ideas, we agreed that a jungle scene which played with the perspective of an animals face within the undergrowth could make a striking visual. I asked whether we could also work in the other characters around the edge of the scene, so they might not be immediately obvious at first and act as a kind of border. 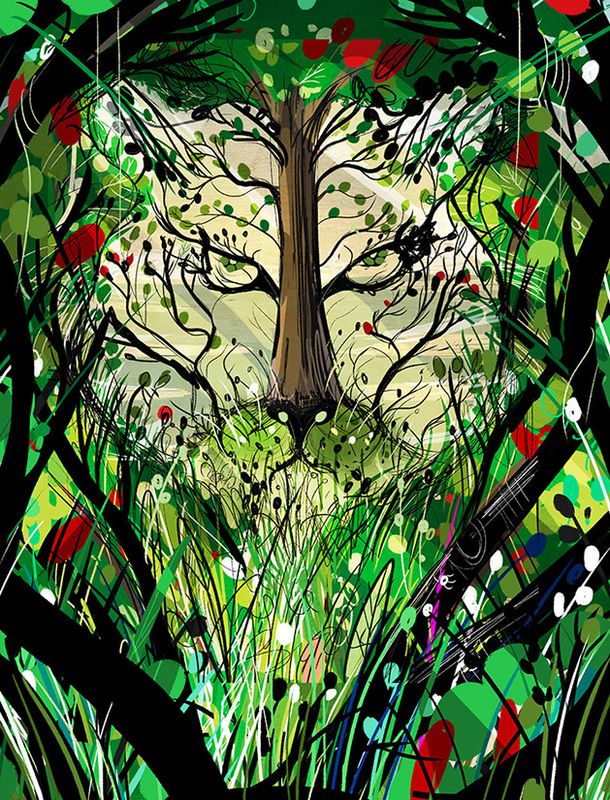 He then created a digital colour rough. which I could show the team in-house and get them excited about what we were working on. The illustrator then supplied a more worked up visual. which I laid over the title and author name and the Faber Classics brand tag to check the placement of all the elements and that there was a balance between type and image. From that point, I present the cover look back to the wider team again, and act as a mediator between the publisher, editorial, sales and marketing teams and the illustrator, until we agree we have the strongest cover visual possible. the position of some animals, but beyond that, I knew we were close to having our cover image. I then gave David the go ahead to work up the scene in a lot more detail and I tweaked a few colours and levels on his final illustration to arrive at the finished cover.